ISLAMABAD, April 10: The Patron in-Chief of Supreme Shia Ulama Board and Head of Tehreek e Nifaz e Fiqah Jafariya Agha Syed Hamid Ali Shah Moosavi has said that Modi’s announcements of eradicating the special status of Occupied Kashmir and construction of Ram temple are a big slap on the faces of Muslim rulers awarding the Indian Prime Minister with precious gifts and medals while also a dark stain on the performance of United Nations. India is exerting all efforts to convert Muslim majority of the Occupied Kashmir into minority the same way as Israel is occupying Palestinian land through aggression and atrocities. The faces of cruelty and oppression have been exposed to the whole world. The freedom movements in Middle East and South Asia are fully alive on UN’s table despite facing state-terrorism, oppression and brutalities. The great revolution of Hussainiyat is the source and essence of all Islamic revolutions which continue even today in the form of the freedom movements of Palestine and Kashmir. The greatest Mujahid of freedom and liberty Hazrat Imam Hussain (A.S) blessed the world with his appearance on 3rd Shaban and through his life and martyrdom gave eternal lessons of sacrifices, courage, valor, kindness, sympathy and greatness that are worth following to be able to defeat the enemies of Islam. 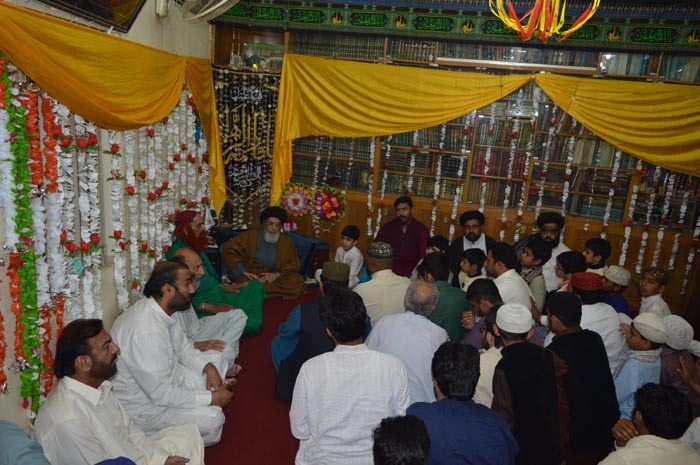 He said this while addressing to the central program of Youm e Wiladat e Purnoor of the grandson of the holy Prophet and the son of Ameer ul Momineen Hazrat Ali (A.S) and Hazrat Fatima Zahra (S.A), Hazrat Imam Hussain (A.S) held on Tuesday as part of the programs of Hafta e Wila e Muhammad o Aal e Muhammad (PBUT). Expressing concerns on the miserable situation of minorities in India, he said that India has been targeting Pakistan since day one to divert world’s attention from the atrocities committed against Dalits, Muslims, Sikhs and Kashmiris. Terrorist activities of Indian secret service RAW in Pakistan are no more hidden from anyone and the arrest of Kulbhoshan Jadev is its undeniable proof. Agha Moosavi said that people are protesting Indian atrocities against Kashmiris and Israel’s aggression targeting the innocent Palestinians. He stressed upon the Muslim rulers, Arab League, and OIC to expose Indian atrocities in Kashmir and subsequently uncover the heinous crimes of Zionists, extremist Hindus and American. He said that the holy Prophets are those sacred personalities who guided the world of humanity through their pious characters. He said that our holy Prophet (PBUH&HP) is the best of the Prophets and concluding seal for the prophethood as Khatim ul Mursaleen who faced extraordinary pain and hardships but rescued the world of humanity from the darkness of Kufr o Shirk and provided a comprehensive code of life based upon the principals of the holy Quran. Quaid e Millat e Jafariya Agha Syed Hamid Ali Shah Moosavi said that a hadees e Mubarak of the holy Prophet (PBUH&HP) goes According to the holy Quran the love of my Ahl-e-Bait (A.S) has been declared as obligatory for my Ummah as return of the deeds of Risalat and I do not demand anything from you except Muwadat of my household. Therefore, it is imperative to get introduction and realization of the statuses of these sacred personalities. Agha Moosavi said that through his life and martyrdom Imam Hussain (A.S) blessed Islam with the light of spirituality and gave lesson about the essence and true meanings of Islam. He said that the birth anniversary of the flag bearer of Hussaini army Hazrat Abbas e Alamdar (A.S) is an eternal lesson of faith and loyalty for the whole world of humanity and proves that no power on earth can deviate us from fulfilling our promises of loyalty with Islam. In Karbala, by getting his arms chopped off, Maula Abbas (A.S) lighted up the candles of sincerity and loyalty that cannot be turned off by the winds and storms of disbelief. We will like to kiss martyrdom for the sake of religion and motherland however, never submit to evil powers.